A long and historical presence at the Biennale for Asian countries, except for the new entries: the archipelagos of the Maldives and Tuvalu. India, after its debut in 2011, is absent this year. The others are China at the Arsenale, but also in myriads of other collateral events through the city; Indonesia at the Arsenale; Japan, Korea and Australia at the Giardini; Bangladesh, New Zealand and Thailand in alternative venues throughout Venice. Curated by Wang Chunchen, the China Pavilion presents a group show of seven artists, who worked on the concept of “Transfiguration, with the attempt to create a bridge between life and art. The work by Miao Xiaochun is the most eloquent: a re-proposition of the Last judgment by Michelangelo in the Sistine's chapel in Rome, but completely post-produced in a cyberspace, where religious figures have no expression and have the same round grey face, symbol of today’s globalized world. On the other side, the artist Wang Qingsong works on staged photographs as vehicles for commentary on economic growht, social tension and rising of Western influence in contemporary China. The others are He Yunchang, Hu Yaolin, Shu Yong, Tong Hongsheng, Zhang Xiaotao. Indonesia is the second Asian country with the pavilion at the Arsenale. Curated by Carla Bianpoen e Rifky Effendi,it is the first year that this country is presented at the Biennale, thanks to the support of the Indonesian Ministry for Tourism and Creative economies. The title is Shakti that in Sanskrit refers to the feminine energy of the divine, regeneration and creativity, the counterpart to the masculine and destructive god-Shiva. The feeling is the one experienced inside a temple, with sacred altars where a special ritual is taking place. Albert Yonathan's Cosmic Labyrinth is made of 1.200 ceramic stupas; Titarubi presents a number of school benches made out of burnt wood and open books placed on them, metaphor of the perseverance of the knowledge; Eko Nugroho's bamboo raft with his iconic figures depicted on it, refers to the ability of the country to survive to its political and social challenges. Settled in the Giardini, Japan seems controversial:critics are divided, because the solo show by Koki Tanaka, curated by Mika Kuraya, is not a real artistic project, but the show of a process of some collectiveactions. In 2011, Japan experienced a massive earthquake and tsunami, with an accident as a nuclear plant. Tanaka continues to engage with the shock in various forms: he takes the footage of people going up and down a fire escape with a book in one hand to recall the experience of evacuation, but also the act of refusing the consumption of electricity connected with the use of escalators. The pavilion can be read at different levels, with a particular attention to the actions made by the communities, in order to re-built a post-tsunami society. The structure presented here is the same that was set up for the Architecture Biennale; the feeling is to be part of an everyday life experience. Next to the Japanese Pavilion the Korean Pavilion hosts the environmental installation by Kimsooja, To Breathe: Bottari, a game of lights, refractions, darkness and sounds that offers a unique experience to the audience, who can act and perform with personal sensations, between known and unknown. Outside the official venues of the Biennale, along the calle (the Venetian streets) or in the campo (the squares), there are the other countries: Bangladesh is at its second presence here after the debut in 2011. Curated by Francesco Elisei, the exhibition is an overview on the contemporary art scene in the country, with an eye on the International show by Gioni “the Enciclopedic Palace”. The show features not only professional artists but also emerging talents from primary schools. The idea is to open up to artistic experiences from nonprofessionals, in line with the theme of the Biennale. The invited artists are the group Chhakka 6, Dhali al Mamoon, Yasmin Nupur, Gianfranco Meggiato e Gavin Rain. The Thai Pavilion proposes a reflection on the art of cooking, thanks to the works of Wasinburee Supanichvoraparch, called Poperomia, which links with the peperomia, a very common thai acquatic plant,. The second artist is Arin Rungjang, who plays the role of a story-teller, guiding the audience around the story of thing yod, thai candies that are metaphors of the actual change of society. New Zealand celebrates Bill Culbert with a huge installation called “front door out back”, made of lights and everyday objects that put together suggest new ways of reading the environment around us. Tuvalu is one of the smallest state in the world and one of the few that concretely risks to disappear with the rise of sea level, caused by climate change. The exhibition seeks to promote the artist Vincent J.F.Huang's dialogue to sensibilise people to the defense of our planet. In some way the Maldives invite to the same reflections: the art collective Chamber of Public Secrest (CPS), appointed to curate the pavilion, launches the topic “Disappearance as work in progress-approaches to Ecological Romanticism”,ttransforming the pavilion in a platform for artists and thinkers, engaged in reflecting on how nature is a source of aesthetic experience. “This is not a Taiwan Pavilion”, is the unusual exhibition promoted by the Taipei Fine Arts Museum of Taiwan, as a collateral event, to showcase an artistic project that suggests a universal message and goes beyond the history of this or any other country. the nationalit. The curator Esther Lu with the artists Chia-Wei Hsu, Bernd Behr, Katerina Seda, works on the investigation and deconstruction of narrative, historiography and identity in order to open the artistic research to the function of free imagination following Gioni's approach in “Encyclopedic Palace”. Many other collateral events host Chinese contemporary art: first of all Ai Wei Wei with the solo show at the Zuecca project Space at the Giudecca; but also Passage to History-20 years of Biennale of Chinese contemporary art and the show Rapsody in Green. 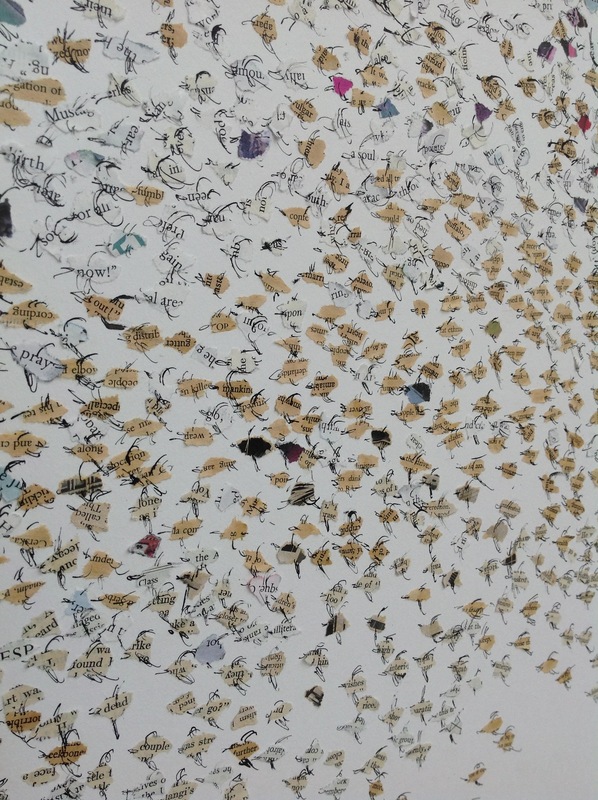 There are two interesting exhibitions with Asian Artists on display at the Querini Stampalia Foundation: one is Jacob Hashimoto with the installation GAS Giant; the other is Qiu Zhijie with the show “the unicorn and the dragon”, supported by the Aurora Museum of Shanghai, and curated by Art Hub Asia. The Venice Biennale will be open till 24 November 2013. With a degree in Modern Literature with a specialization in History of Art, Neve Mazzoleni took a master degree in Management of Art and Culture at Trentino School of Management. Currently, she is cultural project manager for UniCredit S.p.A. since 2006, where she coordinates the International projects such as the touring exhibitions of the UniCredit Art Collection. Beside that, she is member of the editorial committee of Tafter Journal and editor for several magazines in Italy, such as Artribune, Tafter, Giornale dell'Arte-Giornale delle Fondazioni. She is also member of the editorial committee of the Annual Reports on Sponsorship and Foundations, inside the Giornale dell’Arte-Allemandi Group.